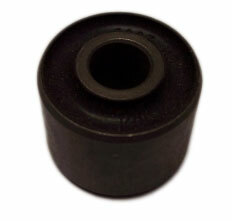 This bushing is used in the engine swing-arm, where it attaches to the frame on the Yerf-Dog Spiderbox Series of go karts. *These will work on Yerf-Dog Go Karts, Spiderbox Series. Q: Is quantity 1 pack of 4 or just one?